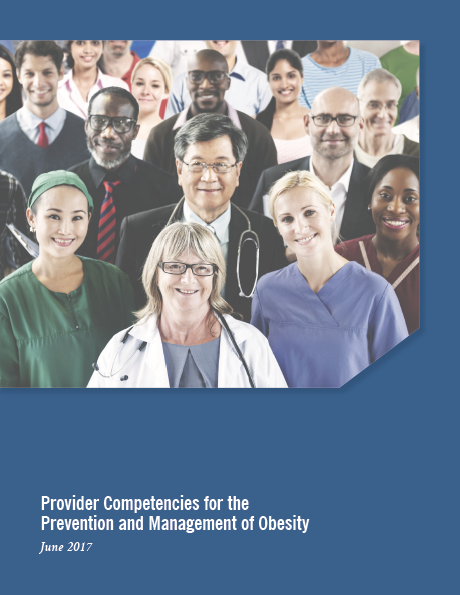 the Provider Competencies for the Prevention and Management of Obesity were designed by more than 20 leading health organizations representing a dozen health professions. They are aimed at many types of health professionals engaged in obesity prevention and management. Collectively, the competencies establish a working knowledge of obesity, and are therefore best used together. 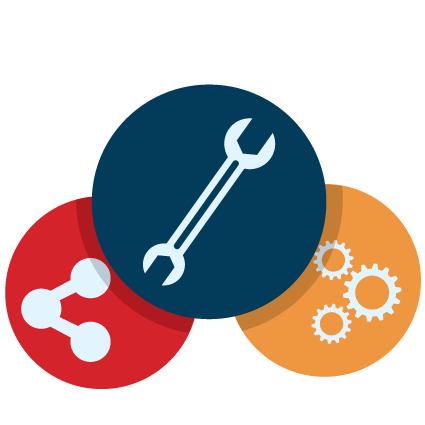 Recognizing that the depth of knowledge or skill for a given competency will vary based on specialty, each specialty is encouraged to adapt these competencies to fit their needs. Weigh In: Talking to Your Children About Weight and Health(Hablar Con Sus Hijos Sobre el Peso y la Salud) is an online guide created by STOP Obesity Alliance and Alliance for a Healthier Generation to fill the information gap and offer practical advice for parents struggling with how to discuss weight and health with their children. 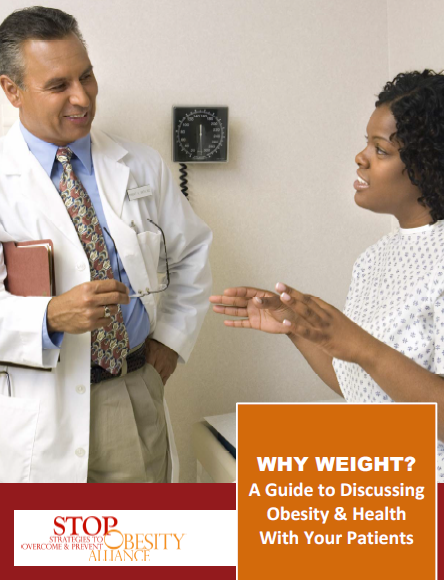 The Weigh In website provides scenario-based solutions and offers practical advice on how to discuss weight and health with children. Are you a provider or community leader who works with parents? STOP produced a toolkit based on the Weigh In Guide to provide everything you need to host a small group discussion with parents to help them talk to their kids about weight and health. Obesity is associated with significantly increased risk of more than 20 chronic diseases and health conditions that cause devastating consequences and increased mortality. 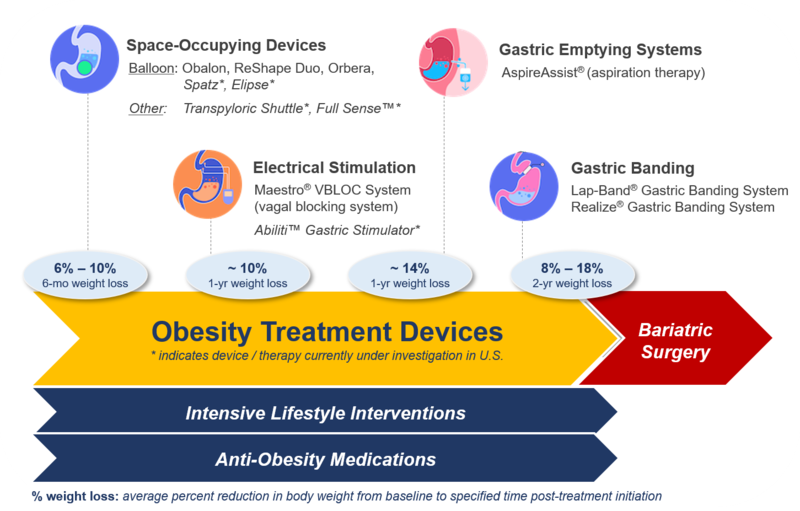 Beyond the significant personal toll of obesity and related health complications are driving up health care costs and threatening employers' bottom lines. The links below go to a series of fact sheets that provides information to help shed light on this complex health issue. 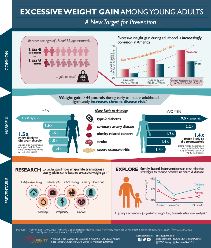 The doubling in obesity prevalence between the ages of 6-11 years and 20-39 years—from 17 to 34 percent—indicates that the transition from childhood to young adulthood is a critical window for obesity prevention and control efforts. Little is known about how the development of obesity in this age group may follow the multiple life transitions that occur during this time – including first jobs, newly independent living, childbearing and marriage. 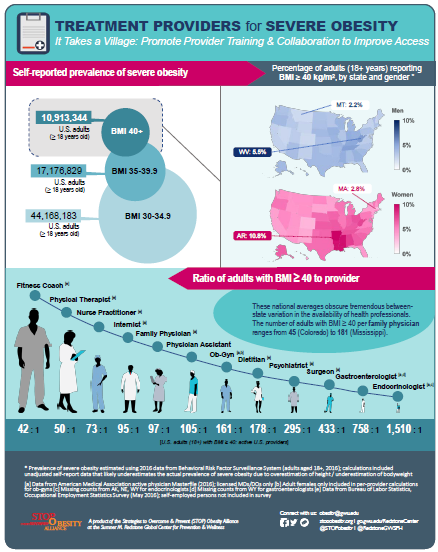 In this graphic, we use 2016 data from the Behavioral Risk Factor Surveillance System and the American Medical Association’s State Physician Workforce Data Book to estimate the availability and distribution of potential obesity care providers for individuals with severe obesity. A growing body of evidence indicates that obesity has a detrimental impact on reproductive potential in women. 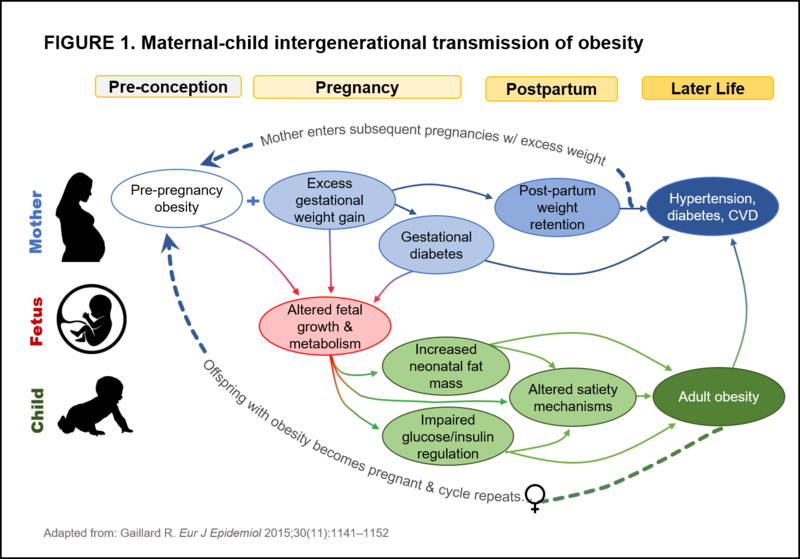 In addition to reduced fertility, maternal pre-pregnancy body mass index (BMI), excessive gestational weight gain, and postpartum weight retention are collectively associated with adverse fetal development, obstetric complications, and long-term health outcomes for mothers and their offspring.